If you are in the market for a new road, mountain, track or triathlon bike, getting your DFU Custom Fit makes your purchase more objective and easy to do. We have performed over 1500 bike fits since 2008 and can proudly say we have the some of the best Bike Fitters in North America. The centerpiece of our Bike Lab is our Dynamic Fitting Unit (DFU). This robotic device takes our bike fitting method to a new level with precision. 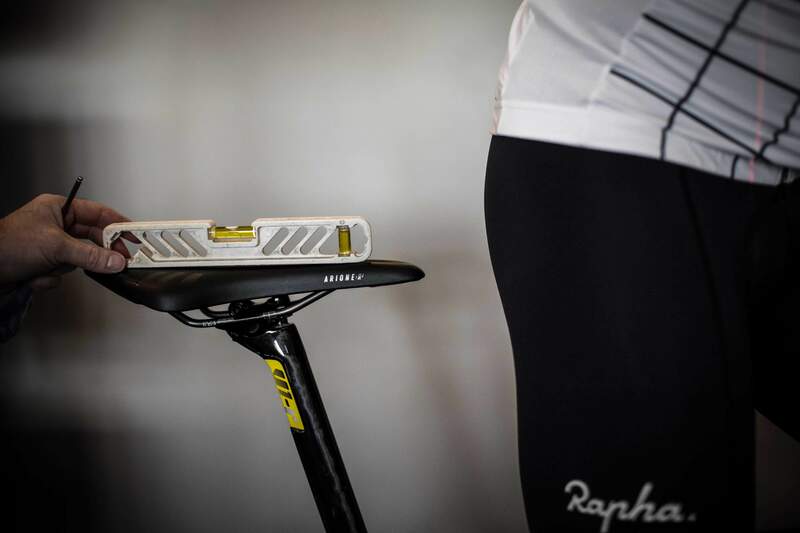 The DFU “moves on the fly” allowing you and the bike fitter to dial in the best position. No need to get on and off the bike to change measurements. No more guessing. No more using prediction formulas or wondering what type of bike suits you best. Let our experienced bike fitters make adjustments as you pedal so you can feel, and see, the difference that small changes in your positions will make. This is the best method in bike fitting. The final step in our fitting process is to do a follow-up fit on your new bike. DFU Bike Fit ($349) plus Biomechancial assessment by National Spine Care* valued at $110. *You may qualify for coverage under your health plan. A comprehensive analysis, ideal for cyclists who have or want to avoid pain and discomfort. 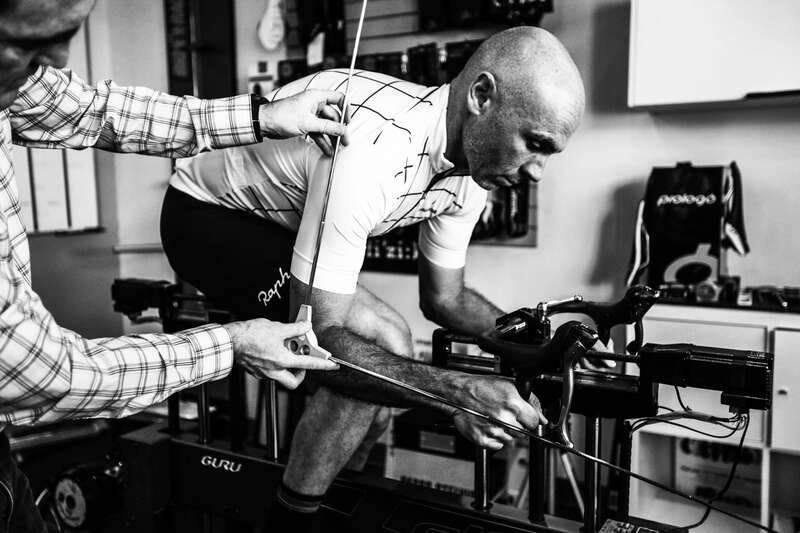 This process, combined with the extensive physical measurements we will take of you, ensure the proper bike fit whether you are buying your first bike or are a high-end racer. Upon completion of the initial DFU fitting, we can show you our brands that might fit your needs, or you can also visit your favorite bike shop with the measurements that we provide for you. Whether you buy a bike from us or not, we want you to be confident knowing that the bike you purchase is the best fit for you based off science, biomechanics and your body. From TCR, you will be able to order your new bike with all the custom parts needed for a perfect fit at a price that suits your budget.